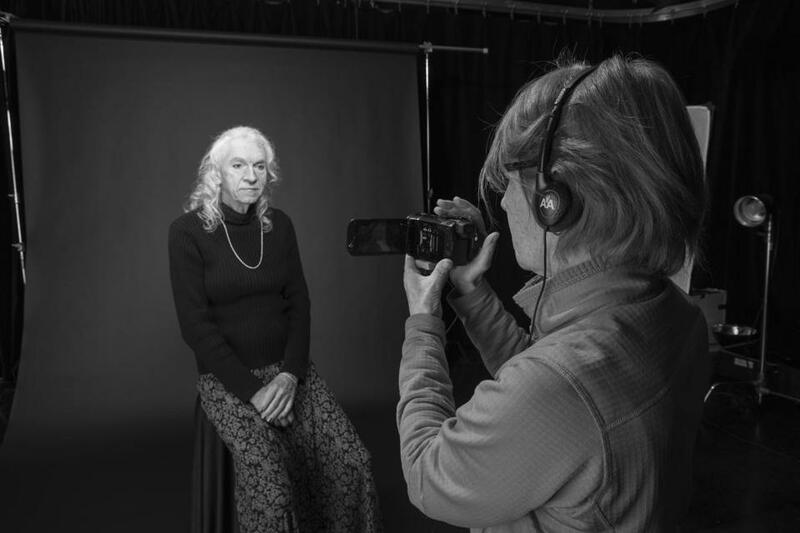 Once people learn she is a filmmaker, Alice Dungan Bouvrie of Arlington said, she is typically bombarded with suggestions for her next documentary. In fact, a student’s recommendation about a professor at the Massachusetts Institute of Technology 14 years ago led to her new movie. “A Chance to Dress” features 76-year-old John Southard, a professor emeritus of geology at MIT — and a cross-dresser. The 40-minute film follows the Mansfield resident’s challenges in coming out to his friends, neighbors, students, and colleagues, and his euphoria after a lifetime of near secrecy. When she initially met Southard, Bouvrie said, she intended to include him in her 2010 film about Waltham resident Sara Herwig, “Thy Will Be Done: A Transsexual Woman’s Journey Through Family and Faith,” but then separated the projects. A prominent figure in both documentaries is John’s wife, Jean Southard, a retired minister who was pastor at First Presbyterian Church of Waltham and a mentor during Herwig’s fight to become an ordained minister. Bouvrie launched her film career as a student at Boston University before working for several years as an assistant director on commercials, television series, feature films, and specials in New York City and Boston. She co-produced “Living Under the Cloud: Chernobyl Today” with Teresa Metcalf of New York City in 1994, and the following year formed Mineral King Productions in Arlington in order to produce her own independent films. Bouvrie’s first two documentaries were “Iditarod: A Far Distant Place” in 2000, and “Prison Pups” in 2006. “A Chance to Dress” is unique, she said, because it was filmed over such a long period. Despite the increased awareness of issues in the gay, lesbian, transvestite, and transgender communities, Bouvrie hopes her film provides another voice and a tool for education. As part of the Arlington International Film Festival, the Southards will join Bouvrie in a Q&A following the screening of “A Chance to Dress” on Monday, Oct. 19, at 7:30 p.m. at the Kendall Square Cinema in Cambridge. For more information, visit www.mineralkingproductions.com or www.facebook.com/achancetodress.